Google Analytics provides behavioral analytics and content performance for websites and mobile apps. Airship Connect provides a real-time stream of user events from your app. Complement your Google Analytics data with real-time, user-level mobile engagement data from Airship Connect. This integration enables a complete view of the user experience by combining Google Analytics data with user-specific interactions such as push sends, direct app opens, and uninstalls. This integration uses our ID Matching feature. Once you've implemented the ID Match between a user's Google Analytics CID and the user's Airship Channel ID, Airship Connect can report events directly to Google Analytics about that user. From there, you can create segments within Google Analytics to track mobile engagement behavior. Fetch the Google CID for your user, then associate it with the Airship channel ID. See ID Matching for details on this feature. Open your project from the dashboard, then click Settings and select Connect Integrations. Enter a user-friendly name and description. Enter the Google Analytics Tracking ID for your app. If you do not have this, contact your iOS or Android developer. 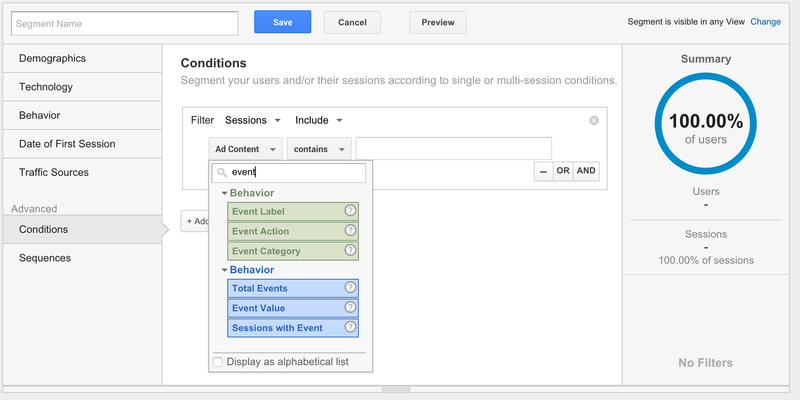 Now that you have configured your app and your Connect integration, you can create event-based Segments in Google Analytics. See Connect-Google Analytics Event Mapping below for details on mapping Connect events to Google Analytics events.